Last week, U.S. President Barack Obama said that the Islamic State is “contained” in Iraq and Syria, but the group’s attacks in Paris soon afterward showed that it poses a greater threat to the West than ever. The Islamic State is executing a global strategy to defend its territory in Iraq and Syria, foster affiliates in other Muslim-majority areas, and encourage and direct terrorist attacks in the wider world. It has exported its brutality and military methods to groups in Libya, Egypt, Afghanistan and elsewhere. Now it is using tactical skills acquired on Middle Eastern battlefields to provoke an anti-Muslim backlash that will generate even more recruits within Western societies. The United States and its allies must respond quickly to this threat. The Islamic State’s strategy is to polarize Western society – to “destroy the grayzone,” as it says in its publications. The group hopes frequent, devastating attacks in its name will provoke overreactions by European governments against innocent Muslims, thereby alienating and radicalizing Muslim communities throughout the continent. 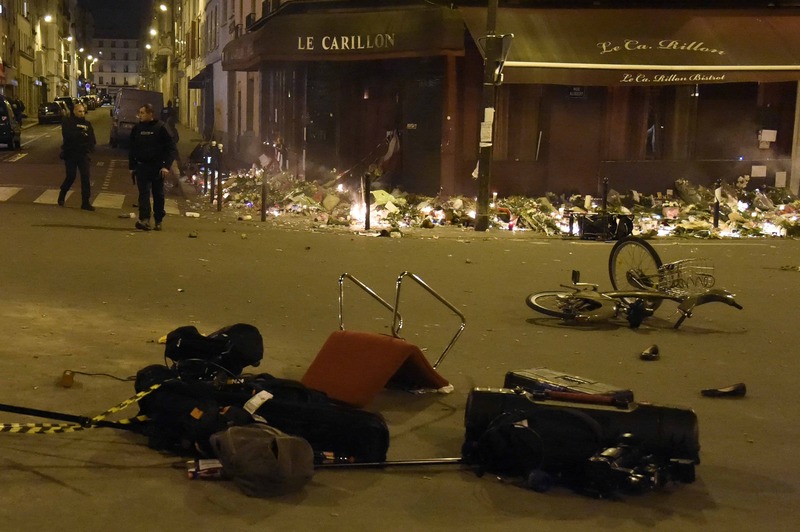 The atrocities in Paris are only the most recent instances of this accelerating campaign. Since January, European citizens fighting with the Islamic State in Iraq and Syria have provided online and material support to lethal operations in Paris, Copenhagen and near Lyon, France, as well as attempted attacks in London, Barcelona and near Brussels. Islamic State fighters are likely responsible for destroying the Russian airliner over the Sinai. These attacks are not random, nor are they aimed primarily at affecting Western policy in the Middle East. They are, rather, part of a militarily capable organization’s campaign to mobilize extremist actors already in Europe and to recruit new ones. The strategy is explicit. The Islamic State explained after the January attacks on Charlie Hebdo magazine that such attacks “compel the Crusaders to actively destroy the grayzone themselves. … Muslims in the West will quickly find themselves between one of two choices, they either apostatize … or they [emigrate] to the Islamic State and thereby escape persecution from the Crusader governments and citizens.” The group calculates that a small number of attackers can profoundly shift the way that European society views its 44 million Muslim members and, as a result, the way European Muslims view themselves. Through this provocation, it seeks to set conditions for an apocalyptic war with the West. Gambhir is a counterterrorism analyst at the Institute for the Study of War.